Etosha National Park is Namibia's premier safari destination and hosts an extraordinary variety of wildlife. Etosha National Park vacations range from romantic honeymoon safaris to dedicated game viewing experiences tailored just for you. Choose between a fly-in safari and a private overland tour. Allow our team to propose a custom vacation to Etosha. The standard rest camp accommodation in Etosha National Park is of a much higher standard than rest camp accommodation in South Africa's national parks. You can stay quite comfortably at a very affordable rate, with breakfast (and dinner, if you wish) included. For those seeking serious luxury, Ongava and Onguma offer plush lodgings in captivating settings. Etosha's predominantly flat and arid landscape, along with its relatively sparse vegetation, means unobstructed game viewing and therefore fantastic photographic opportunities. Bring your best lenses and capture Africa's finest creatures without the hindrance of thick shrubbery or undulating landscapes. The intermingling of various species around waterholes is also ideal photographic fare. There really is no other wilderness area on the continent quite like Etosha - none so open and arid, so harsh yet so fertile and bountiful. The combination of the vast salt pan, the dolomite hills, the semi-desert grasslands and the staggering amount of species that eke out an existence here make it an indelibly unique safari destination. 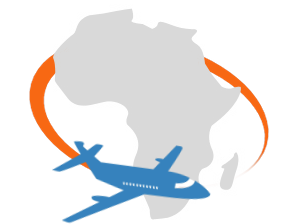 Guests will typically fly to either Windhoek or Walvis Bay from Cape Town or Johannesburg. Thereafter, guests will board a light aircraft charter flight to an airstrip just outside the park. Charter flights are usually employed when guests are staying in one of the private game reserves that border the park, like Ongava or Onguma. On a private overland safari, guests will also fly to Windhoek or Walvis Bay from Johannesburg or Cape Town, but thereafter travel by road in a hardy 4x4 vehicle in the company of their African Sky guide. From Windhoek, the trip is around four and half hours, while Walvis Bay to Etosha is roughly five and a half hours' drive. The best time to visit Etosha is during the dry season - the 'winter' months between May and October. Water becomes scare, so the animals converge around waterholes. The vegetation thins out even more, allowing for unobstructed, superior game viewing. The pan is often bone dry during this time and the arid landscape makes for unique photographs. Average maximum temperatures range from 26°C (79°F) to 33°C (91°F), while minimums range between 8°C (46°F) and 15°C (59°F). In the summer months between November and April, the average daily temperatures range from 25°C (77°F) to 35°C (95°F), and particularly hot days can even push the mercury past 40°C (104°F). The rains transform the park from a dry, dusty white lunar landscape to a green paradise bursting with with lush vegetation. The bird population peaks in the summer, with many northern hemisphere birds migrating south to Etosha. The pan itself gathers water and turns into a shallow lake, attracting wetland birds and flamingos. Many larger mammals, like elephants, will move north towards Namutoni, as this area will have more rainfall than down south at Okaukuejo. Although the prevalence of mosquitoes in Namibia is very low, malaria is a risk from Okahandja northwards. The Centers for Disease Control & Prevention therefore recommends anti-malarial prophylactics for visitors to Etosha. Other than that, ensure that your routine vaccinations are up to date. Should you be prone to allergies and irritation, ensure that you pack the appropriate remedial medication, as Etosha can be quite dusty in the winter months. As you will be staying in the wild throes of a national park, crime is not an issue. Still ensure that you are discrete with your valuables, to avoid petty theft. Do not feed animals under any circumstances - baboons and monkeys become particularly aggressive when they learn to associate people with food. 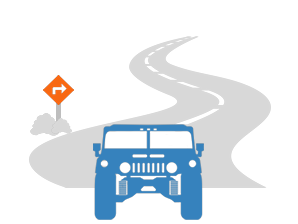 Do not exit your vehicle unless you are in a demarcated area where it is safe to do so, or in the company of an armed ranger. Etosha National Park's most rewarding experiences are inherently linked to game viewing. From Okaukuejo's prolific waterhole to breathless encounters with unique species, you'll find your safari here to be absolutely unforgettable. The famous waterhole at Okaukuejo Camp is mentioned with reverence by Etosha regulars. After sunset, the waterhole is illuminated with floodlights, which makes it possible to observe animals after dark. Black rhinos are frequent visitors, amongst a wide variety of nocturnal critters. The Etosha salt pan is 120km (75 miles) long. It is dulating, starkly white, and dry throughout most of the year. Observing animals on this alienesque landscape is an arresting experience, which also happens to provide a unique tableau for spectacular unobstructed photographic opportunities. Unlike the devastation experienced in other Southern African countries, Namibia has been largely unaffected by poaching. It currently boasts the largest population of black rhino in the world, with the majority thriving in Etosha. You are sure to encounter this prehistoric giant on your game drives. Your transportation in Etosha depends on whether you are enjoying a guided overland safari at one of Etosha's rest camps or a luxury fly-in safari at Onguma or Ongava. For our guided overland safaris, we make use of hardy, closed 4x4 rental vehicles, with air conditioning and comfortable interiors. Namibia's roads cover lengthy distances in a harsh desert environment, so a well-equipped vehicle is a must. Should you be staying at one of the private game reserves that border the park, you will enjoy game drives in modified open 4x4 vehicles particularly purposed for game viewing. These vehicles typically either have three rows of two seats or three seats and a canopy to shield against the sun during game drives. The gemsbok is a handsome species of oryx that roams the desert landscapes of Namibia. It also happens to have incredibly high quality, low fat meat, which is delicious as steak, sausage, biltong and even goulash. Springbok meat is light and lean. Like the gemsbok, this gazelle also enjoys the arid environment of the Namib, and produces fare that is naturally free range. Springbok carpaccio is a popular delicacy. Namibia's beers are brewed according to strict German purity laws - a vestige of colonial occupation. Windhoek - named for the capital - is the most popular, and an ice cold light, lager or draught is a refreshing post-safari treat. A brötchen is simply a German breadroll - another vestige of 'German South-West'. These rolls are so popular, however, that the word has penetrated every linguistic group in the country. Does Etosha have the Big Five? Unfortunately, buffaloes have been extinct in the Etosha area since the middle of the 20th century. The park does, however, host lion, elephant, leopard and black rhino. Can I be harmed by wild animals? As long as you avoid feeding animals or wandering around the park on your own, you need not worry about being harmed by animals. Always heed the advice of your ranger or guide. You can only enjoy a guided bush walk if you are staying at one of the private game reserves like Onguma or Ongava. Anti-malarial prophylactics are recommended for visitors to Etosha. Unfortunately, night drives are not available in the park itself. At the rest camps, you can observe animals at the floodlit waterholes at night. 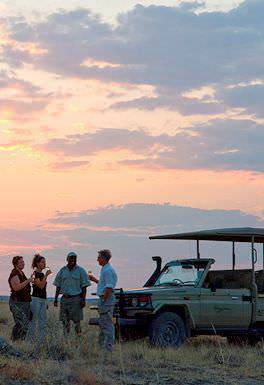 Should you be staying in one of the private game reserves, your late afternoon game drives will lead into the night. Are my valuables safe at the lodges & Camps? Petty crime is generally very low in wilderness areas. However, should you have rather estimable values, you can ask reception to lock them away in a safe for the duration of your stay. Is there fresh water to drink? Bottled mineral water is readily available at all the rest camps in the park and at all the private lodges. Although the tap water is safe to drink, it is not very pleasant. Are there any species that are unique to Etosha? At Etosha, you may encounter black-faced impala, the Damara dik-dik and the Hartmann's mountain zebra - animals that are very rare or non-existent in other wilderness areas. Is there water in the Etosha Pan? The Etosha Pan becomes a shallow lake in the rainy season (November - April). During the winter months, it remains dry. While the rest camps and lodges have sufficient mobile reception, you will typically be off the grid while on safari. Internet facilities are available at certain establishments, but it is usually quite slow. South Africa is the African continent's top travel destination. Botswana's awe-inspiring wilderness areas are the stuff of safari legend. Namibia's vast stretches of desert host far more wildlife than initially meets the eye. Zambia is known for its remote safari areas, like South Luangwa and Kafue. Zimbabwe's most famous feature is a natural world wonder - the Victoria Falls. Mozambique boasts 1000km of pristine tropical coastline - ideal for a beach vacation. The name Etosha (spelled Etotha in early literature) comes from the Oshindonga word meaning ‘Great White Place’, referring to the Etosha pan. The Hai//om called the pan ‘Khubus’, which means "totally bare, white place with lots of dust". The pan is also known as ‘Chums’, which refers to the noise made by a person's feet when walking on the clay of the pan. The German Reich ordered troops to occupy Okaukuejo, Namutoni and Sesfontein in 1886 in order to kill migrating wildlife to stop the spread of rinderpest to cattle. A fort was built by the German cavalry in 1889 at the site of the Namutoni spring. On 28 January 1904, 500 men under Nehale Mpingana attacked Imperial Germany‍‍ '​‍s Schutztruppe at Fort Namutoni and completely destroyed it, driving out the colonial forces and taking over their horses and cattle. The fort was rebuilt and troops stationed once again when the area was declared a game reserve in 1907. Lieutenant Adolf Fischer of Fort Namutoni then became its first "game warden". Most visitors to Etosha National Park are quickly struck by the vast amount of wildlife found in what initially appears to be quite a harsh, stark environment. Because of the park’s arid nature, animals are forced to congregate around the waterholes. The result is a photographer’s dream; extraordinary varieties of species captured on film in a single setting. Though buffaloes have been extinct in the park since the 1950’s, the rest of the Big Five – lion, leopard, elephant and rhino – occur throughout. Cheetahs count among the rarer sightings available. Etosha is home to both plains zebra and the threatened mountain zebra, which occurs only in the western section of the park. A sighting of these two subspecies together is quite remarkable. Such is the case with brown hyena and spotted hyena as well. For avid birders, summertime is the ideal period to visit Etosha. Though game viewing is generally considered better in the dry season, the summer rains render the vast pans into seasonal lakes and attract migratory and wetland species. Etosha hosts around 340 bird species, about a third of which are migratory. The avian residents of the park make up an eclectic mix that ranges from flamingos to the colorful lilac-breasted roller and some 35 raptor species. Fisher’s Pan is a birding hotspot. When the rains gather in the pan, flamingos and storks occupy the shallow waters. African open-bill and great crested and black-necked grebe also occur. After substantial rain, the 5 000 km² Etosha Pan fills with water and attracts a blush cloud of flamingo. The best time to observe them is during January and February when water is present in the pan and they arrive to breed in their thousands. The salt pans are the most noticeable geological features in the Etosha National Park. The main depression covers an area of about 5,000 square kilometers (1,900 sq mi), and is roughly 130 km (81 mi) long and as wide as 50 km (31 mi) in places. The hyper-saline conditions of the pan limit the species that can permanently inhabit the pan itself; occurrences of extremophile micro-organisms are present, which can tolerate the hyper-saline conditions. The salt pan is usually dry, but fills with water briefly in the summer, when it attracts pelicans and flamingos in particular. The Etosha Pan was one of several sites throughout Southern Africa that formed part of the Southern African Regional Science Initiative. Using satellites, aircraft, and ground-based data from sites such as Etosha, partners in this program collected a wide variety of data on aerosols, land cover, and other characteristics of the land and atmosphere to study and understand the interactions between people and the natural environment. The dolomite hills on the southern border of the park near the Andersson entrance gate are called 'Ondundozonananandana', meaning 'place where young boy herding cattle went to never return', probably implying a high density of predators like leopards in the hills, giving the mountains its English name of 'Leopard Hills'. The Halali area is also home to dolomite hills within the park, with one hill inside the camp and the nearby Twee Koppies. Etosha National Park is Namibia's premier safari area, where visitors can encounter lions, elephants, black rhinos, leopards and more. Sossusvlei is one of the top travel destinations in Namibia. The 'vlei's' stark red landscape is sure to take your breath away. Windhoek is Namibia's capital city and the gateway to its safari destinations. The historic capital is rich with German colonial architecture. Swakopmund is wedged between the sweltering sands of the Namib Desert and the icy shores of the Atlantic Ocean.